Congregations and congregants working together to restore Earth and renew Spirit. 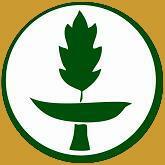 The Green Sanctuary Program, originally nurtured and managed by the Unitarian Universalist Ministry for Earth, was designed to give roots and wings to the vision that, together, we can create a world in which all people make reverence, gratitude, and care for the living Earth that is central to our lives. * Has received official recognition for completing the Green Sanctuary Program. * Lives out its commitment to the Earth by creating sustainable lifestyles for its members as individuals and as a faith community. * Is committed towards creating a religious community that has a fundamental, bottom-line, commitment to living in harmony with the Earth.